About Us – TD INTERNATIONAL S.A.
TKC – The name TKC was derived from Tuboscope – Ken Carstensen. Tuboscopebeing the proponent and Ken Carstensen being the inventor and Patent holder. The first testing done on the TKC 8rd tubing connection was performed by Harry Sweet & Associates. Since then, numerous successful API testing for premium connections has been performed on the TKC EUE, NU and FCR connections. In 1992, Tuboscope transferred all of the TKC assets and the worldwide rights for the use of the TKC product line to TD International. TD International sold the rights for the TKC connections to Thread Masters, Inc. retaining on an exclusive basis, the Far East and Middle East territories as listed below. Hunting Interlock purchased the TKC rights from Thread Masters, Inc., however, TD International retained the exclusive TKC License and marketing rights for all the Far East and Middle Eastterritories as stated above. 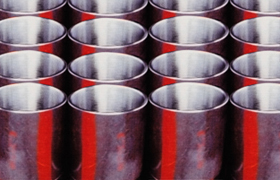 Millions of feet of tubing and casing using the various TKC thread configurations have been successfully used in the premium and superior connection designs all over the world. A list of TKC end users is available on request.